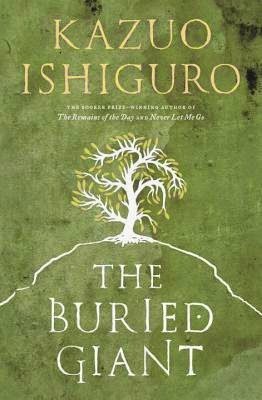 This is the first book by Kazuo Ishiguro that I have read and I have to say, it's inspired me to pick up another one. The Buried Giant is a lengthy story that requires you to immerse yourself into a mysterious and mythical world. Personally, I found it to be well worth the time and emotional investment. The mysterious tone of the story kept me captivated and turning page after page. There moments that dragged on but I refused to skim through the pages in fear that I would miss a piece of the puzzle. The characters in the story were built up so well that you could feel their happiness, sorrow and agony. There were so many moments in the story that made me cry out to them. Overall, I feel the book was beautifully written. There were sections and lines that I read over again and took note of because they struck such a powerful chord in me. I recommend this to readers that are looking for a book that will challenge their beliefs and tug on their heart strings. I adored this story, but it did leave me with one burning question that I now turn to you: If your memories were lost, would you want to restore them even if you knew it would uncover ugly and heart breaking truths? Disclaimer: I received this book complimentary from Penguin Random House Canada in exchange for an honest review.